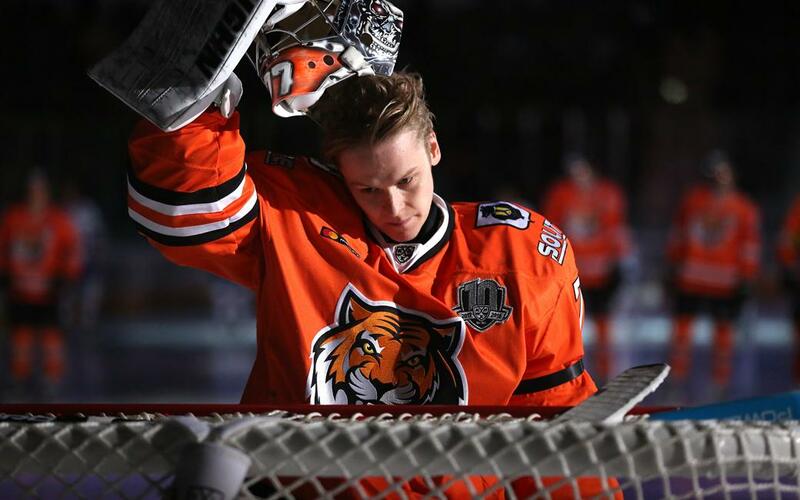 Amur Khabarovsk's Finnish goaltender, Juha Metsola, has had a renaissance in form, and now frequently stars in our Top Ten most spectacular saves of the week feature. He spoke to KHL.ru about the his team's fortunes so far this season, his plans to stay in the KHL and play in the Olympics, and the best things about the Far East city where he plies his trade. 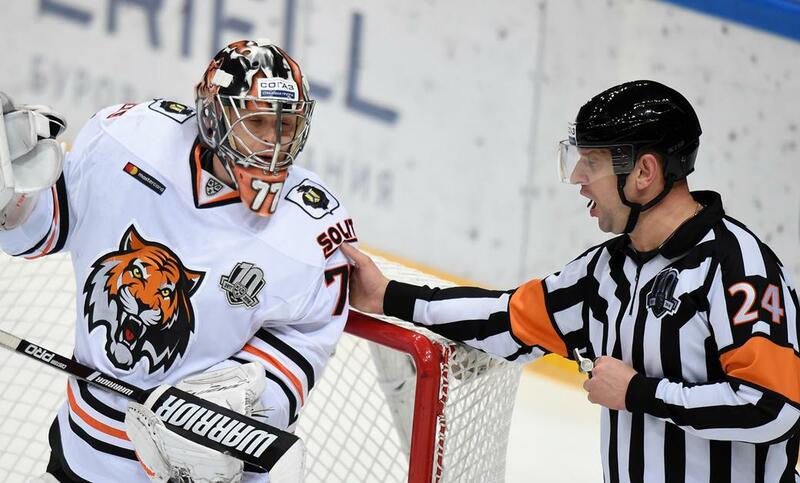 - Last week you were in a thrilling game against Jokerit (a 5-4 overtime win for the Khabarovsk team). Do you enjoy games like that? - I've always enjoyed playing in Finland. My family was there, my dad, a few friends... Jokerit kept me very busy, and it's never pleasant to allow four goals, but it doesn’t matter when you win. - This year Amur is a much more entertaining team. What happened? - This year we’re scoring a lot of goals. I don't recall us scoring five in any game last season, but now we’re doing it quite often. We’re great in offense, and that’s a good thing. It’s comforting for me to know that even if I allow some goals, we still have a chance of winning. Last season, if we shipped three goals, it was game over. - But the statistics suggest you are busier this season. - You can play well in defense and still allow 50 shots on goal. It's the quality of the shooting chances that really matters. It is not a problem for me if the opposition resorts to shooting from the blue line in clear sight. - Is this Amur team the best of all those in which you've played? - Yes, we have a really good chance to make the playoffs. It is better than last year, when we really struggled. We’re almost there. - December might be crucial, as you have a lot of home games. - It's a verymportant month for us, and we really need to bank a lot of points. It’s hard for us on the road because of the time difference. We must earn points at home. - But the team was already improving last season, after Andrei Martemyanov took charge. - Do you feel that he has faith in you? - Everyone in the team trusts me, and that gives me confidence. - It seems your place is not under threat from the other goalies, neither of whom has played as well as you have. 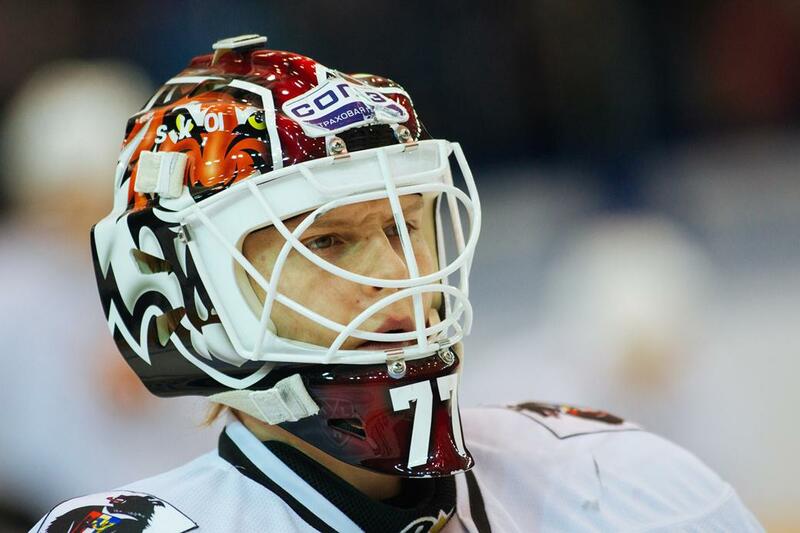 - Evgeny Alikin and Evgeny Kiselyov are great guys, but I’m getting a lot of ice time. And it's hard to get into a game if you're sent in when your team is already a few goals behind. If they were given a chance to start some games, it would be different. - The first part of the season did not go so well for you. - It's hard to pinpoint the reason. We didn’t play well as team, either, but we all knew the solution – we worked harder, and the team improved. Now it’s going well. - It it possible that the birth of your second child affected your concentration? - It’s never nice being away from your family, and they should be coming to stay with me in December, when we have a lot of home games. Yes, my second daughter was born, I missed my family, and I wished I were at home. Maybe my mind was elsewhere. Everything is fine now. - This year at Khabarovsk, the club has surprised a few people by having a live, electric-guitar version of the pre-match anthem. Do you like it? - I like it a lot. These guys are great musicians, and are out there playing almost every game. I’m a fan of rock music, particularly live performances. - Can you tell us your favorite bands? - I have so many: Five Finger Death Punch, Avenged Sevenfold, and many more. 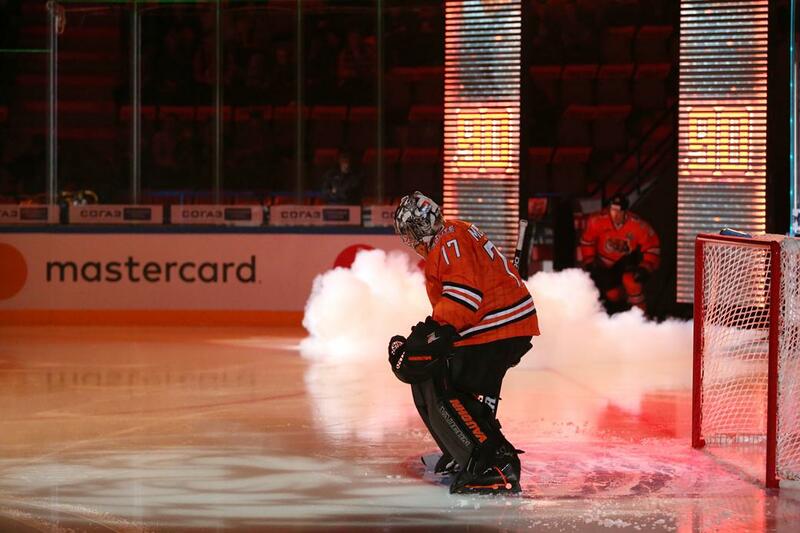 - There is now a great atmosphere in the stands, and the team is finally winning on the ice. - It’s the main thing for the fans. They want to see the team win. We could still play even better, and we are heading in the right direction. - Are you enjoying your time in the KHL? - It’s been a great experience, and I want stay here as long as I can. The hockey is of a high quality, and I want to play in the best League I can get into. - So, you plan to stay in Khabarovsk? - Possibly. We’ll see after the end of the season. - What about the Finnish national team? - It's a big year for us, as we have a chance of playing in the Olympics. It’s the highest goal for me. I think it is possible, so I must make the most of my chance next week in Moscow. - When you decided to extend your contract with Amur two years ago, you hadn’t been playing much. - It was the end of my first season, and I wanted to stay here. Yes, I didn’t play much, but that was because Alexander Pechursky was just awesome. Whoever is playing the best is the one who should play. - There was some talk about a possible conflict between you and Andrei Nikolishin, who was the head coach at the time. - No, I liked working with him. It's just that I didn’t play to my best. - This is now your third year in Khabarovsk. Do you feel at home? - No, I never get that feeling anywhere away from Finland. I really like Khabarovsk, but Tampere is my home, and always will be. - What you like about Khabarovsk? - Everything! I like the fine restaurants, the great people. There is nothing wrong with this city at all, apart from one thing – the distance from my home.